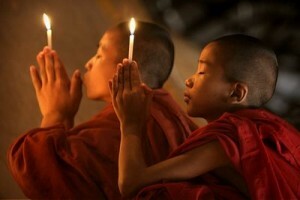 Pray for the Buddhist World 1080p from Team Expansion on Vimeo. Those that have gone through “Bridges” know how it can help one learn to share one’s faith with a Muslim, but — is there a “bridges” for Buddhism? A friend of mine is asking where are the resources for learning to share with them? If you have a tip or a resource, please use the Comment box associated with the web version of this item to fill us all in! Thanks in advance for any leads. PRAYING THROUGH THE ARABIAN PENINSULA NEEDS DESIGNER — PTAP needs a graphics designer who will help put together prayer materials (booklet, brochure, etc) for a third year of Praying Through the Arabian Peninsula (PTAP). Since first starting, this imitative has seen churches planted in the five additional countries of the Arabian Peninsula. Just send a church reference and something indicating your training/experience in the field to PTAP(at)srginc(dot)org [As a means of preventing spam for our contributors, in the preceding email address(es), please replace (at) with @ and (dot) with .] If you’d like to receive a weekly update highlighting similar PTAP needs, send a blank email to PTAP-request lists everybody org with the subject “subscribe”. THANKS TO THOSE WHO ENCOURAGE — Thanks to the anonymous user from Centennial, CO who gave $50 to help launch Brigada into a new week! And thanks to the other anonymous user from the UAE who gave $100! We appreciate you! yet? If not, I bet you will soon. Billing itself as “the free encyclopedia that anyone can edit,” wikipedia.org is only one of hundreds of new wiki applications springing up around the web. In all cases, the focus is simple. “Wiki” means “quick” in Hawaiian. It’s basically just a website that enables users to easily edit and update shared content. Well the whole process got a lot more interested just a couple of weeks ago when Google purchased wiki software maker “JotSpot.” What’s more, Microsoft is incorporating wiki-like features in Office 2007, and IBM is building a similar wiki product in a feature they’re preparing for 2007. So why are they so popular? They promote transparency in both reading and authoring. In addition, users get to pitch in together – and the outcome is something the whole organization can then enjoy. So how will wikis affect you and your mission or church? How ’bout setting up a wiki to explain your organization’s protocols? Or ask your training guys to start a wiki on “getting from here to there.” Maybe you could do a wiki on a major training component… like … learning a particular language or cross-cultural principles. You *might* even find a wiki that already exists… and maybe you could use it right out of the box! There are commercial products too… but why not check these free ones first, to find out if they’ll do the job. Now the cool thing is — I got to see s sneak-peak of one of these in advance and, I’ll have to admit, bar none… this might be the single best mobilization piece for evangelizing the Buddhist world in the history of the planet. MAYBE THE CHURCH *ISN’T* SMALLER THAN WE THINK — I figured I’d hear back from some friends. Remember the item, “THE UNREACHED: THE CHURCH MAY BE SMALLER THAN YOU THINK” (July 21st edition)? Thanks to all the lay people *and* the professionals who replied. The latter group included the lead researcher from JoshuaProject.net (Dan Scribner), the editor of Momentum Magazine (Justin Long), and even the author himself of Operation World and “The Church is Bigger than you Think” (Patrick Johnstone). (Can you believe these guys make time to read Brigada? I should send them ice cream cakes from their local Dairy Queens.) Anyway, the bottom line was — they showed convincing proof that the church has grown and is growing by leaps and bounds and that it would *not* be accurate to state, as the article in question had stated, that “3 out of 4 people have not heard the Gospel.” Some of our researcher friends wondered if the author might have misunderstood his secondary citations (there are no research citations given) or maybe he was referring to a special study with different criteria than that used by nearly all of the other researchers in the business — like, maybe he is only counting evangelical gospel presentations, as opposed to counting presentations by Catholics & Orthodox too. Either way, at the end of the day, most researchers seem to feel that at least half the world has been exposed to the gospel. However, some 6,000 people groups definitely have *not*, comprising about 2 billion people — so we still have our work cut out for us. GLOBAL PASSION — UK TOUR — Loren Cunningham, the founder of Youth With A Mission (YWAM), is the guest speaker at the upcoming Global Passion UK Tour. Having visited every sovereign nation on earth, Loren has gone into all the world with many seeing him as a hero to the nations. Between 4th – 15th Sept ‘onehundredhours’, with their faith, hope that rock ‘n’ roll, and Loren who has been there and done it and has the air miles, will bring their passion for the nations to seven locations in the UK and sound the call to be part of the new missions movement that is going to surge out of the UK. Admission is free with a ticket which can be booked online. MORE ON “HOOSIERS” — I shared in a recent “BackPage” about visiting with folks in Milan, Indiana, the *real* hometown for the movie “Hoosiers” (July 14th edition). Interesting… in one follow-up email (from Lisa), I learned about the “Hoosier Gym” in Knightstown, Indiana. It was the scene of one of the staged games in the film and, in contrast to the community of Milan, the town there has apparently worked very hard to preserve the gym and showcase it. I’ll have to stop over there on my next trip through that part of the country. (Thanks Lisa!) But the *real* lesson is… we *can* work hard at protecting a legacy, if we just make it a priority. MORE ON VOICE OVER IP — We continue to watch with interest the changes in telephone connectivity around the world. For example, Neil recently told us about Webcalldirect, which is another clone of Voipcheap etc, run by the same company. Neil wrote, “Like Coca-Cola, they produce different, apparently competing products with different names and so end up with a larger market share. All the voipcheap clones do phone-to-phone options, also free, with a 3 euro-cent connection charge. They also work direct from a webpage on any computer, or can be accessed via the program itself. Webcalldirect just does not have the computer to computer option.” (Thanks Neil!) Watch for the day we’ll no longer by PBXes for offices but instead, we’ll just connect a bunch of IP Phones via some software info-center… yet all the IP-phones will cooperate together just like the old Panasonic (and other) PBXes of the past. GIVE BRIGADA REASON TO CELEBRATE — Want to send a gift to an organization that rejoices with a hoop and a holler at every single check that arrives? Pick Brigada. There aren’t that many checks, so every single one counts. :-) Support a mission where your financial gift can easily be 50% of the monthly income!!! And all the while, help speed Brigada on its way to thousands of workers around the world, many of which are nationals that could never afford to subscribe to a traditional magazine or printed medium. In return, Brigada will use the money to pay for its website, pay a part-time secretary to keep up with personal emails from 10,000 subscribers, and help with some simple marketing costs. Besides, it’s a tremendous encouragement when you partner to undergird this work. To make your gift that counts, just click on “sponsor” in the top menu (to use PayPal or a credit card), or if you prefer, send a check payable to Team Expansion to: Team Expansion (Brigada secretary), 13711 Willow Reed Dr., Louisville, KY 40299. As always, be sure to let us know if you’d like us to promote any particular service or ministry, or if you’d prefer your gift be anonymous. In any case, thanks for considering Brigada in your estate giving, your monthly church missions fund, and/or your own personal giving for this calendar year. THE BACKPAGE: FOLLOW-UP “GET PEOPLE PRAYING” — In the July 21st, 2006 edition of Brigada, in the BackPage editorial, we asked the question, “HOW DO WE *REALLY* GET PEOPLE PRAYING?” We received many answers from those who shared our pain. Many fellow workers spoke of the challenge of truly communicating and *activating* a church toward active prayer. Some talked about the multiple distractions our modern world offered, while others pondered the status of prayer in the new millennium. By far, it seems that email is the most often-used modern tool to foster greater prayer for world missions. But, according to some, it is precisely due to that very situation (its over-use) that email might be the least effective and ragged approach. Breakfast prayer meetings received much higher marks, as did home meetings around a 5′ DVD video prayer presentation. Some contributors reminded us not to fear start- ups with small numbers, citing haystack prayer meetings in history and home cell group prayer sessions in the Bible itself. Either way, it’s a tall order to actually try to involve a local church in prayer for missions. Brian, from Toronto, wrote, “I would expect it is the rare church that builds a church community that places mission at it’s core and driving passion for all ministry. For all congregational members to buy in to that consuming vision where supporting ministries and ancillary programs always support the key vision of world mission would require absolutely committed leadership with a clear world view that sees how marriage enrichment programs or basketball teams or ushering or building maintenance can support missions. Brian continued, “I see people getting excited about being married, or playing basketball, or sitting people in seats, or fixing lights – and who see no connection to world mission. Doug- should they see world mission behind or through their activities? Or are we asking that people care passionately about stuff that they don’t really care about. Lisa gave a somewhat more optimistic view. She wrote, citing prayer mobilization guidepoints from the very organization of which I am a part, “We have missions moments once a month to share about various missions we support. Sunday school classes adopt different missionaries to pray for them and send care packages to them. We encourage visits to our missionaries to see their work firsthand and provide encouragement. CHECK OUT THE LINKS AT “MISLINKS” — Get some good leads at: http://www.mislinks.org/ It’s maintained by Scott Moreau of Wheaton College and Mike O’Rear of Global Mapping, International — guys who know their stuff and want to share it with others out of the goodness of their hearts! Well done Scott and Mike! TIPS FOR THOSE DOING POWERPOINTS — And who *isn’t* these days! The good folks at InFocus have made their popular 15-Minute Guide to Winning Presentations available to Brigada Today participants absolutely FREE! Download your copy today — http://ecommerce.rsc03.net/servlet/website/ResponseForm?iklETWTZTW_aNtH g9hgJLiml . In the end, you should see an InFocus form to fill out for the free guide.) You can also visit the Presenters University http://www.presentersuniversity.com/ web site for tons of great presentation information including over 150 FREE PowerPoint templates and Presentation masters. (Note — if you don’t want to get new emails from them, unclick the “send me news” checkboxes. ACCESSIBLE EASYENGLISH – 19 STORIES FROM MARK’S GOSPEL — Get these new materials, designed for people with learning disabilities (but also used for new learners of English) from http://www.easyenglish.info . The level A (1200 word lexicon) version of Revelation, now through Advanced Checking is also newly on the same site. This site now averages over 1000 hits each day. REPORT ON FILTERED ISP’S — Remember Chuck’s inquiry about filtered ISP’s that block access to offensive sites? He has finished his research and has assembled a *terrific* summary report. To see it live on the web, just log on to this Brigada edition, or click directly to: http://www.brigada.org/today/articles/filtered-isps.html or simply send an empty email to <filtered-isps brigada org (filtered-isps brigada org) > to obtain the 8K file. Or if it’s easier, just click here (bstoops pactec net?subject=Life%20Insurance%20Providers) !